Tile is a great choice for flooring if you have pets. As any pet owner knows, dogs, cats and other critters can be terror on the floors. They stain the carpets, scratch up the hardwoods, and make the floors stink. 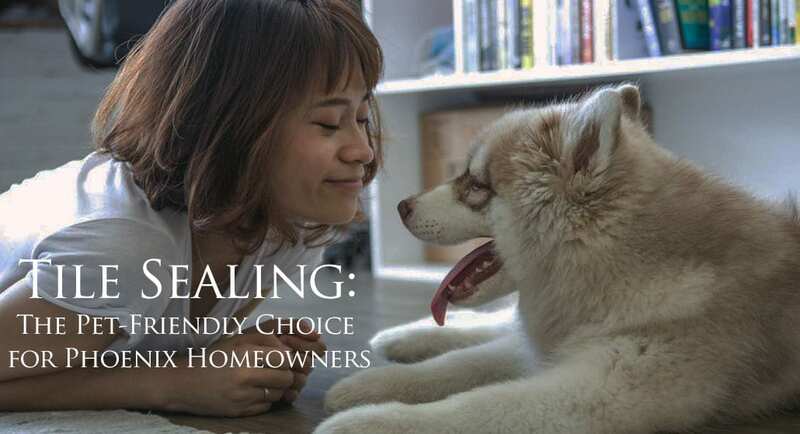 As diligent as you are, and as much training as you get your pet, there will always be accidents and there will always be mishaps thanks to the long nails or claws on your pet, the dirt they carry in their fur, the pests they attract, and more. Tile is resistant to much of the damage that pets can cause. Tile floor sealing gives your tile an extra layer of resistance, ensuring that the floors have a long lifespan with minimal maintenance. You’ll enjoy great-looking floors for many years to come, and you’ll save money. Tile floor sealing add a layer of protection. The sealant is like an invisible barrier between the tile and grout and any corrosive elements, like water, dirt and debris. The proper sealant will prevent water from penetrating the tile or grout. This is an obvious benefit for pet owners. If your pet has an accident, the urine won’t soak into the tile or grout, causing stains and lingering odors. Even if your pet never has a bathroom accident, your pet has almost certainly gotten a little too sloppy when drinking from the water bowl or has knocked over a glass of water when lumbering by a table. All kinds of spills can happen when you have a pet, and sealing your tile will protect your floors from damage. Even regular dirt and dust brought in your house from foot traffic can stain your floors over time. No matter how vigilant you are with sweeping or dusting, you will never get every last molecule of dirt or dust. Over time, the accumulation can sink into the pores in your tile and grout, leading to staining. Tile floor sealing helps prevent this staining. It keeps the mud, dirt, and other debris from your pets out of the tile and the grout. It also protects against potty accidents, food accidents, and more. You’ll be able to clean the floors more easily, and you won’t have to spend hours scrubbing your floors or using harsh cleaners to get it clean. Sometimes, professional tile floor cleaning in Phoenix can get the stains out, but not always. Sealing your floors is the best way to protect them. Dogs and cats can scratch your floors up considerably just by walking around. That tap-tap-tapping you hear when your pet walks is caused by their claws hitting your floors. Tile is a better choice than hardwood when you have pets, but it can still be scratched by day-in and day-out of exposure to your pet’s claws. Sealing your tile floors helps to protect it against that scratching. The sealant won’t last forever, and it is not an impenetrable barrier. That’s why you have to keep up with the sealing schedule if you want to keep your floors protected. If you own a pet, you know how hard they can be on your floors. If you don’t already have tile floors, it’s time to consider an upgrade. If you do have tile floors, make sure that you are sealing them regularly to protect them against stains, water damage, odors, scratches and other damage. If your tile floors have already been damaged by your pets or other wear, it’s time to call the experts at Desert Tile and Grout Care in Arizona for professional tile floor cleaning. We can renew even the dirtiest and most stained tile floors so that they look like new again. We save you hundreds or thousands of dollars on replacement flooring. We clean all types of tile flooring, and we perform tile floor sealing. After we clean the floors, we’ll seal them to ensure that they stay looking good for as long as possible. 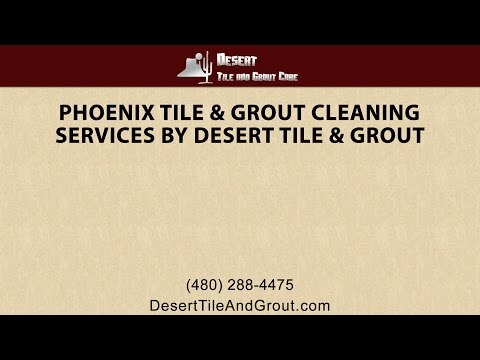 Call us in Arizona today to learn more about our Phoenix tile and grout floor cleaning and sealing services and to breathe new life into your tile floors.